Now Notifications will arrange themselves by time of arrival, with the most recent alert at the very top of the panel. This is a much more useful sorting method for many of us, give it a try. 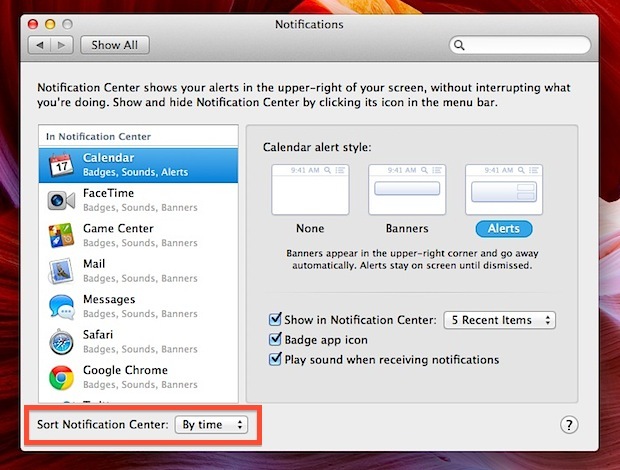 This is the same in all versions of OS X, so whatever release you’re using you can sort notifications this way.